This is the amino acids supplement chart from the excellent book by Julia Ross, The Diet Cure. 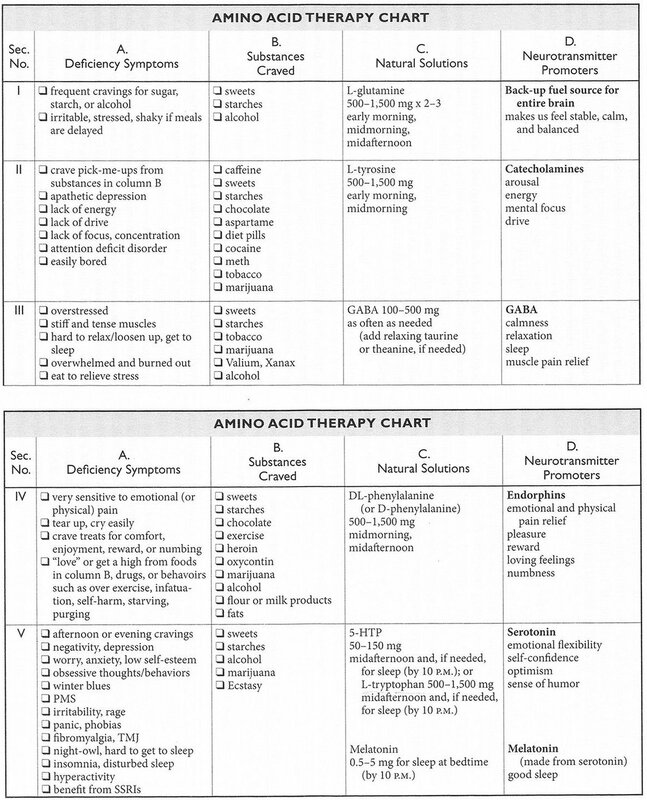 With this chart you look at the first two columns to find whatever “deficiency” problems you may be having, then look for the amino acid supplement(s) that are known to help with those problems. I originally learned about this when my thyroid was failing in 2011. L-tyrosine was a major help in living through that problem.